THE MARTINI CHRONICLES: Quick Meals For A Busy Diva....Side Dish Edition! Quick Meals For A Busy Diva....Side Dish Edition! Greetings! I don't know how many of you have the strength or energy to make a home-cooked meal after a long day at work, but I know it is a personal struggle for me. I am usually exhausted when I get home, and all I want to do is take my shoes off and watch television. As attractive as this sounds, I know it is not a typical option for me. And let's face it, a girl's gotta eat! And so does her family. So I make an effort to cook at least 3 to 4 days per week...and I'm cool with that! As such, I am always on the look out for different ways to expedite the dinner preparation process. One way is to prepare quick and easy side dishes to go along with my protein. In the spirit of sharing, here are a few quick (and healthy) side dish recipes that pair well with many of my protein items. Check them out and let me know what you think. Enjoy! 1. Walk in your door, drop your bags, change into your play clothes and get the kids to a safe place where you can keep them busy for the next 45 minutes (if applicable). 2. Preheat your oven to 395 degrees. 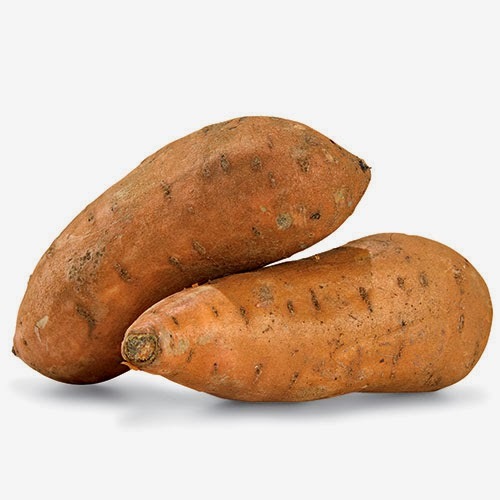 Skin your sweet potatoes and dice them. 3. Spray a baking dish with cooking spray (if you really want to save time during clean up, line the dish with aluminum foil and spray the cooking spray on the foil.). 4. Spread the diced sweet potatoes evenly across the baking dish in one layer. Sprinkle the sweet potatoes evenly with cinnamon, nutmeg, and sugar. Drizzle evenly with honey. 5. Place pan in the oven and bake for about 35 minutes; 45 minutes if you like your potatoes to be extra tender. 6. Prepare your protein and any additional dinner items, so long as it only takes 35 to 45 minutes to cook. 7. Dinner is done! Everyone is happy! You are amazing! 2. Preheat your oven to 395 degrees. 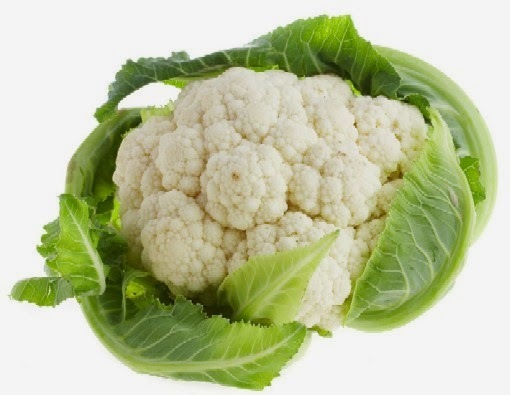 Cut your cauliflower into spears. 4. Spread the cauliflower spears evenly across the baking dish in one layer. Drizzle EVOO evenly over the cauliflower. Sprinkle the cauliflower evenly with garlic powder, onion powder, basil, thyme, and salt and pepper. 5. Place pan in the oven and bake for about 35 minutes. 7. Take cauliflower out of the oven and sprinkle evenly with Parmesan cheese. 8. Dinner is done! Everyone is happy! You are amazing! 2. Preheat your oven to 280 degrees. Cut kale into 1.5 inch pieces; toss with EVOO and lay kale on baking sheet. 3. Bake for about 20 minutes, or until kale is crisp. Turn kale once at about the 10 minute mark. 4. Prepare your protein and any additional dinner items, so long as it only takes 20 to 35 minutes to cook. 5. 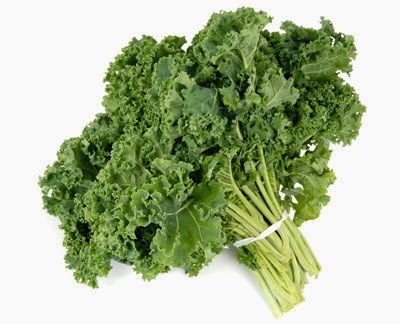 Take kale out of the oven and sprinkle with sea salt. 6. And then........dinner is done! Everyone is happy! You are amazing! There you have it! Quick side dishes! The trick is to make sure your main dish falls within the appropriate time frame. And for those with kiddies, you have to make sure they are safe and entertained so you can get dinner done and out of the way. However you do it, the goal is to make dinner preparation less daunting at the end of the day. I hope this helps! Have a great weekend!